Winterfest gives you the chance to do things you just can’t do in the summer. Walk or skate to the middle of the lake and get a new perspective. 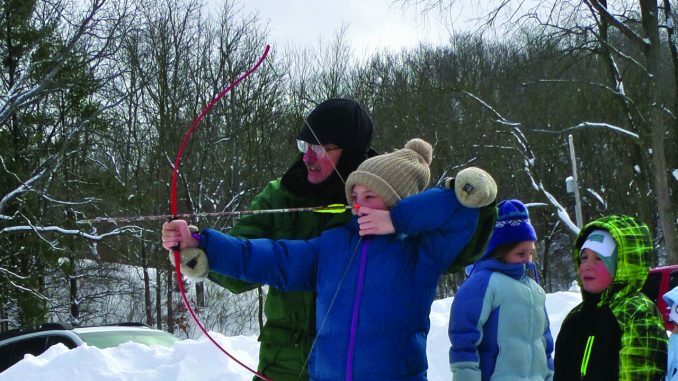 The Izaak Walton League invites you, your friends, and the whole community to participate in special winter activities on January 27, from 10:00 to 3:00. If the ice is good, they’ll have helpers and equipment for kids’ ice-fishing, and some skates to try if you don’t have your own. 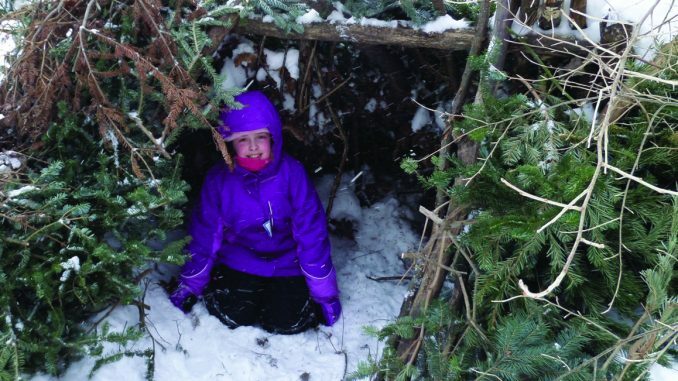 There are pine branches for building a shelter, which can be pretty cozy with snow piled on top. 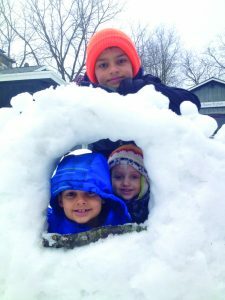 With enough packing-snow, you can help build castles or snow-creatures, too. When there’s a fresh white blanket of snow you can look for animal tracks along the woodland trails, or make your own tracks with cross-country skis. The Ikes have a few sets for those who want to learn. Or, take a walk along Armstrong creek, which is beautiful in wintertime. The Native Americans made long smooth troughs to see who could glide their “snow snakes” the farthest, and you can try this too. Another old-time activity is candle-making. Walk around the fire and dip a wick into the kettle of wax to create one of your own, layer by layer. 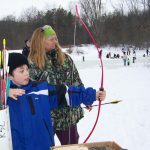 Archery is very popular with the kids even when it’s cold out, and the targets will be waiting. There is a lodge for warming up, with chili and a hot dog at lunchtime. All of this is free, although donations to this non-profit are always welcomed. Dress warm and go to 5641 Myers Lake Ave., 1/2 mile north of Cannonsburg Ski area. Carpooling helps as parking is limited. 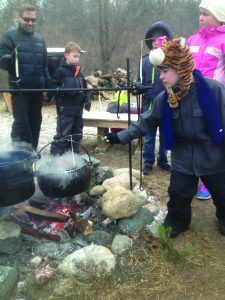 The Dwight Lydell chapter of the IWLA is over 90 years old, always dedicated to protecting and enjoying our natural world, and getting children to feel at home in the outdoors. Many families enjoy camping or picnics on the property. There are programs and dinners all year for members, and several are open to the public. 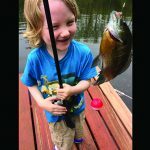 In the spring a beginners’ fly-fishing workshop will be held. Their big Conservation Banquet is in March. 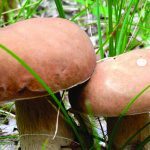 For more information, go to michiganikes.org.